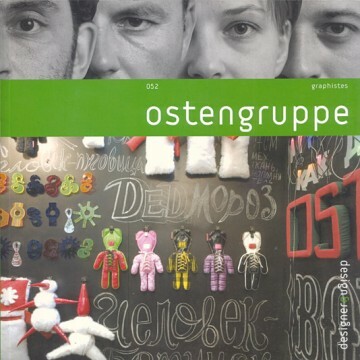 Design & Designer 052 – Ostengruppe, official blurb: The members of the Moscow-based Ostengruppe collective have decided to meld into a single entity and develop a common style and identity, even though they each sign their own creations. Their output, mainly for the cultural sector, is modernist in feel and not influenced by current fashions. Their work was shown in France at the Vodka/Tequila exhibition as part of the Mois du Graphisme in Echirolles in 2004.